Features gold-plated probes and microchip technology for dependable detection of conductive liquids. Ideal solution for sensing leaks under a raised computer floor or air conditioning drip pans. Use in large-scale network control centers, data centers, server rooms/closets, unattended remote shelters, mechanical equipment rooms, sensitive areas with overhead piping, industrial process control rooms, etc. Current consumption: 10mA typical, 30mA maximum @ 12VDC. Use to detect fluids in confined areas, such as condensation drip pans. E-SLDO-14 includes 24V/0.5A US power supply. E-SLDO-14-240VTR includes 240/208/120 to 24 VAC power transformer and country-specific line cord. 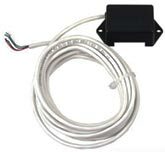 Place the sensor on a flat surface under HVAC equipment, dishwashers, washing machines, refrigerators, compressors, or electrical switchgear rooms and other potential leakage areas. 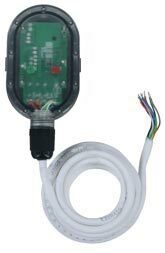 Water level detection range: 0.03 to 0.53" (0.79 to 13 mm). Audible alarm signal: 85 dB at 1 foot distance. 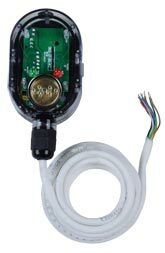 Red LED for visual alarm signal. Current consumption: 30mA typical, 85mA maximum @ 12VDC. Dimensions WxDxH: 2x4.13x0.19 in (51x105x30 mm). 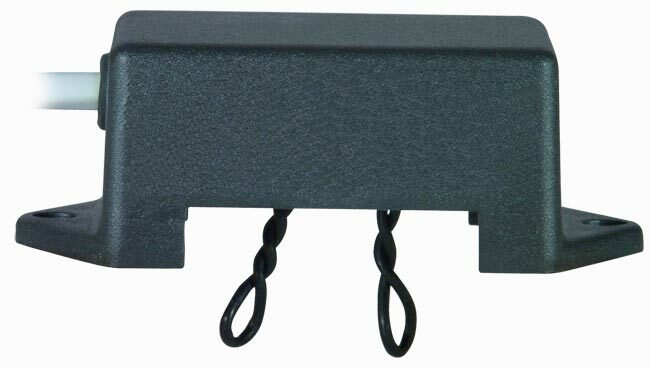 Includes adjustable mounting bracket attached via adhesive strips or two screws. 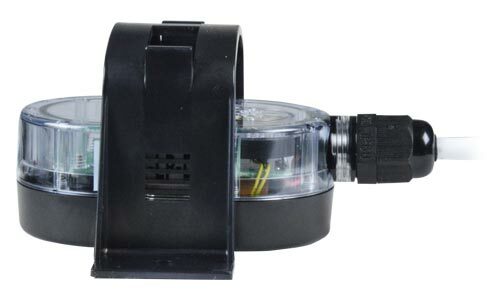 Enclosure rating: NEMA 6P (IP68) submersible.